If you have imported demo contents then Submit Property page is already created. But you still need to configure related settings as guided below. 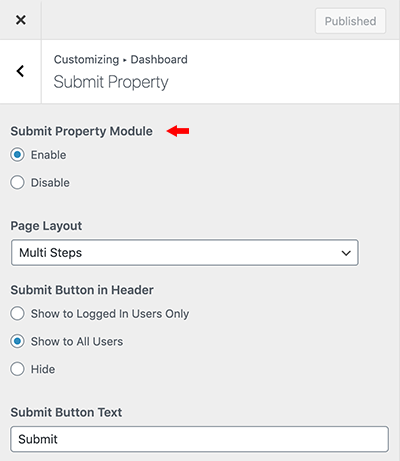 Select the Submit Property template from page attributes. Now you need to navigate to Dashboard → Real Homes → Customize Settings → Members and look for Submit Property section where you can configure related settings. In order to change the settings for new properties submitted by the user you can navigate to Dashboard → Real Homes → Customize Settings → Members → Submit Property where you can change the settings accordingly. 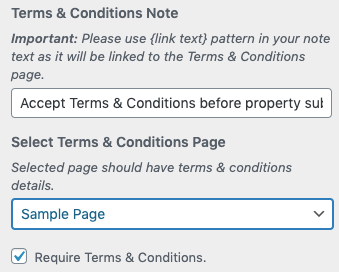 You can add Terms & Conditions field to submit property page. You can also select a page for Terms & Conditions. You can change the status of the newly submitted property. You can either select Pending or Publish. 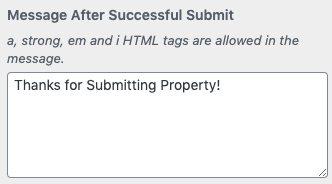 If you will select Pending the property will not directly available for public view but if you select Publish then it will be published for everyone to see. You can change the Default Address which is shown in Submit Property page. You can also modify the longitude and latitude of the default map location. Please make sure that you add the coordinates properly, adding bad coordinates will result in the issues accessing the Submit Property or Add New Property page. You can enable/disable Auto-Generated Property ID for your properties, if you will activate the Auto-Generated Property ID then you will not be able to edit the Property ID anymore. You can also provide a pattern of your choice for the Property ID field. 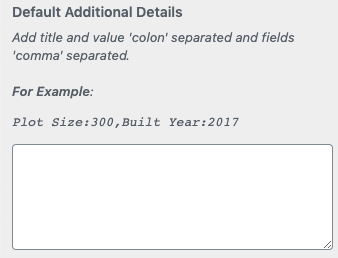 You can add default titles and values for additional property details using Default Additional Details. The message which is shown after successful submission of the property can also be changed in this section. The email address where you want to get the notification of new property listing submissions are also changed here. Save the changes and your Submit Property page is ready for use.